In another nod to the reemergence of the NoMo area of the Charleston peninsula, CC&T Real Estate recently refurbished a two-story vacant building on Brigade Street that is now fully occupied. The former red-brick, mostly walled-in Omniflex building at 100 Brigade St. is now home to Linden Construction Co. on the first floor and Highsmith Insurance on the second floor. Linden moved from Daniel Island to be closer to several downtown building projects, and Highsmith left the Seabreeze Building near the State Ports Authority’s Columbus Street Terminal because it needed more room, according to Stuart Coleman with CC&T. Coleman, Robert Clement and other investors bought the building in March for $1.25 million. Over about five months, they put about $500,000 in improvements into the structure after gutting it, adding more windows and changing the outside color to a lime-washed white brick. “It was an ugly red-brick building with few windows,” Coleman said. It now sports an awning, new front and a side entrance to the upstairs building that once housed an accounting firm a few years back. Goff D’Antonio Associates served as the architect. Across the street from the site is Indigo Market, a new gift retailer that opened in October. Butcher & Bee is building a new site at the corner of Brigade Street and Morrison Drive near Edmund’s Oast. About a block away on Brigade Street, plans for a new 275-unit apartment complex have been submitted to the city in a first phase of development by White Point Partners of Charlotte. The second phase could offer an equal number of units on the 15-acre former industrial tract. 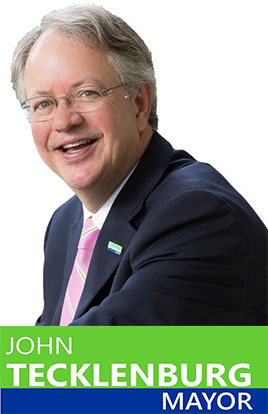 Congratulations to our friend and colleague, John Tecklenburg, on his win in the City of Charleston’s Mayoral election! 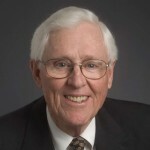 John will replace Mayor Joe Riley, whom held office for 40 years and ten terms. All of us at Clement, Crawford & Thornhill, where John has practiced commercial real estate for over fourteen years are confident John will make an exceptional Mayor of the City of Charleston. We are proud to know John, and look forward to working with him in his new position to help further his vision to put our quality of life first. Clement, Crawford & Thornhill recently received a Sweetgrass Award in the 2015 Green Business Challenge. We are honored to be among so many local businesses, both large and small, taking the initiative to reduce waste, energy use, water and more, while promoting environmental sustainability. We also invite you to join us in the fifth Green Business Challenge year! For more information on this yearly challenge, visit the City of Charleston’s, Charleston Green Business Challenge web page. There you can register, as well as get tips and training to keep Charleston the beautiful, liveable and sustainable city that it is! Mr. Thornhill is a Principal in Clement, Crawford & Thornhill, and plays an active role in his community. It’s the first of its kind for Charleston. The city’s hospitality industry on Thursday welcomed its first “dual-branded” hotel, a growing trend within the lodging industry. The occasion also marked the return of the Hyatt flag to the Charleston area. Officials untied a ribbon to kick off the official opening of Hyatt Place and the adjoining Hyatt House at the Midtown site near King and Spring streets. “The idea of the two paired hotels, each with a slightly different marketing or accommodations plan, added wonderful additional diversity,” Charleston Mayor Joe Riley said after the event Thursday. The hotels have separate lobbies and offer different types of rooms at different rates. Hyatt Place has 191 conventional rooms, while the pricier Hyatt House has 113 units with multiple bedrooms and kitchen areas. The properties share a pool and a fitness area. “For us, for visitors, having the two products together is magic,” said Helen Hill, president of the Charleston Area Convention and Visitors Bureau. She also said the hotels will bring more visitors to the booming Upper King area. “For us, it’s really important because it gives us another anchor on a main thoroughfare,” Hill said. The newly opened hotels bring the Hyatt flag back to Charleston. Previously, the chain constructed what is now the Mills House Wyndham Grand Hotel on Meeting Street, Hill said. “It’s fun to have them back,” she said. For Hyatt, it’s the first time the Chicago-based chain has combined these two specific flags on the same site, said Pedro Perez, general manager of the Charleston properties. “We’re definitely going to learn a lot from opening these hotels,” he said. Other chains are buying into the two-for-one concept, partly to offset rising land and construction costs in urban areas. For example, Marriott stacked a Residence Inn atop a Courtyard by Marriott in New York City earlier this year. Hilton has about 15 dual-branded lodgings in North America, and Hyatt has other deals in the works, according to a report this year in the New York Times. The Charleston project, which includes a 405-space parking garage, took about two years to complete and cost about $80 million. “To watch this project come from a hole in the ground to this magnificent building is just amazing,” said Rachel Frost, sales director for Hyatt House. The dual-branded Hyatt hotels at Spring and King streets are now accepting guests for mid-October though they could open earlier as construction winds down on the Midtown project. The complex includes retail and office space on King Street. 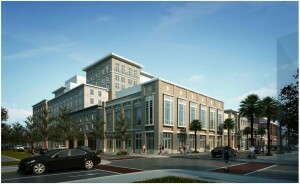 One of the most anticipated downtown Charleston development projects in years soon will be completed. Nearly two years after construction started, work on the $80 million Midtown hotel, retail and office complex will end in late September, providing a northern anchor to the booming King Street business district. The nine-story structure includes two hotels; an eight-level, 405-space parking deck; and buildings for shops, restaurants and offices. In all, 433,000 square feet is being added at King and Spring streets. “We are wrapping up construction soon,” said Stuart Coleman with CC&T Real Estate of Charleston, a partner in the Midtown project. The hotels are completed and exterior work on some additional buildings on King Street will be completed by the end of the month, said Tom Rhyne, senior superintendent with DPR/Hardin construction firm of Atlanta. Construction on the Midtown project in downtown Charleston is expected to wind down by the end of September. The dual-branded Hyatt Hotels will open first, followed later by the commercial areas of the project, Coleman said. Hyatt’s website says the new lodgings are accepting reservations starting Oct. 17, but it could open earlier depending on last-minute construction, Coleman said. “We are still targeting late September or early October for the opening,” hotel spokeswoman Diana Barton said. Hyatt House will consist of 113 suites overlooking Spring Street. Hyatt Place, 191 standard hotel rooms, will open next to the railroad bed behind Elan Midtown apartments. The hotel ballroom will sit at the corner of Spring and King streets above an as-yet unannounced new restaurant. The King Street property includes eight commercial tenants. One of those is The Ordinary restaurant, which opened before construction began in September 2013. Others have not been announced, including the historic building fronting on King Street that was spared. Last winter, project officials said the development would be completed in the spring with bookings by mid-summer, but work on new commercial buildings along King Street delayed the opening of the hotels because Hyatt officials didn’t want guests to encounter unfinished buildings upon arrival, according to a former project manager. When the project does open, it will include a rooftop bar above Hyatt House. A separate elevator lobby from the hotel will provide access. Patrons can enter through a pedestrian walkway off King Street or through a courtyard. “You won’t be walking through the hotel lobby to get to the rooftop,” Coleman said. The parking deck, when completed, will be bought by the city. It will be available for hotel patrons, retail and office personnel and the general public for a fee like other parking garages at Charleston Place or the Francis Marion Hotel.